The Isle of Skye is an staggeringly beautiful island. Connected to the North-west coast of Scotland via bridge, this little isle is full of rugged coastlines, sweeping hills and valleys, dramatic rock formations and winding roads. Fi and Jonny‘s guide to the Isle of Skye is giving me serious travel envy! 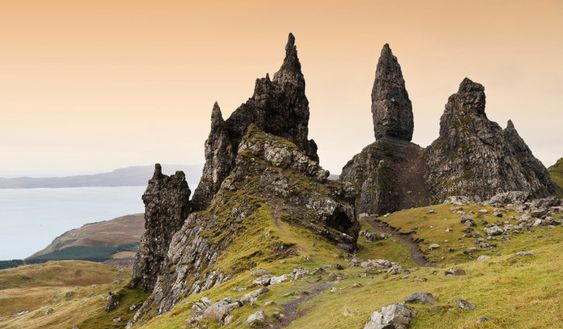 I’m planning a serious road trip of Scotland for next year and the Isle of Skye is a must-see. Plus, Beyond Our Horizons have the perfect day trip planned out and ready to use, perfect for that road trip! Have you been to the Isle of Skye? What are some good sights to see? The Isle of Skye (and Scotland!) is truly amazing and we hope to go back again one day as we feel like we only scratched the surface. We hope you enjoy your Scotland road trip!